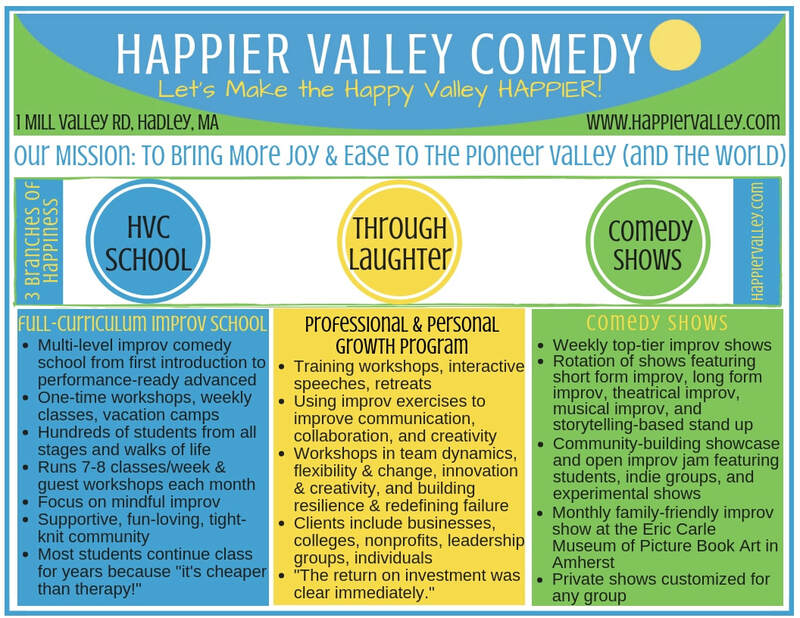 Happier Valley Comedy, Inc. is a 501(c)3 nonprofit organization that brings laughter, joy, and ease to Western Massachusetts (and the world) through the principles of improvisation. We serve up the happy through our training center, shows, and professional/personal development programs. HVC is committed to using the tenets of improvisation as a tool to amplify each person’s authentic voice and creativity in an inclusive, welcoming community inspired and empowered by the diversity of all members. 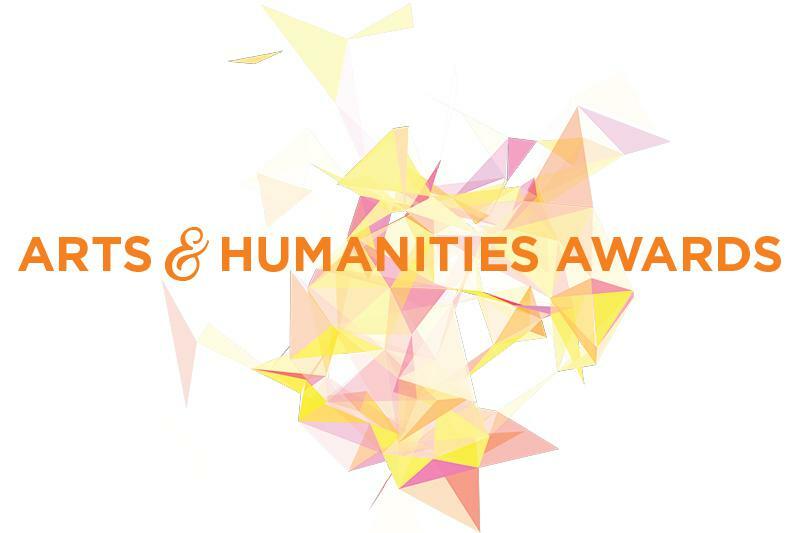 NEPR Arts & Humanities Awards! Our cover story in BusinessWest! Scott & Pam were on Mass Appeal! Check out Parts 1 & 2 below. ​while also stretching the boundaries of the form." - Chris Rohmann, The Valley Advocate, "Happier Valley Comedy Expanding on Improv"
Pam Victor is interviewed on 60 Seconds with a Startup talking about what inspired her to launch Happier Valley Comedy, how she measures success, the challenges she has experienced, the skills she has found useful as an entrepreneur, and how she envisions Happier Valley Comedy growing. ​Happier Valley Comedy, Inc. is 501c3 non-profit organization.